You can find the Sea to Summit DryLite Travel Towel here on Amazon.com. 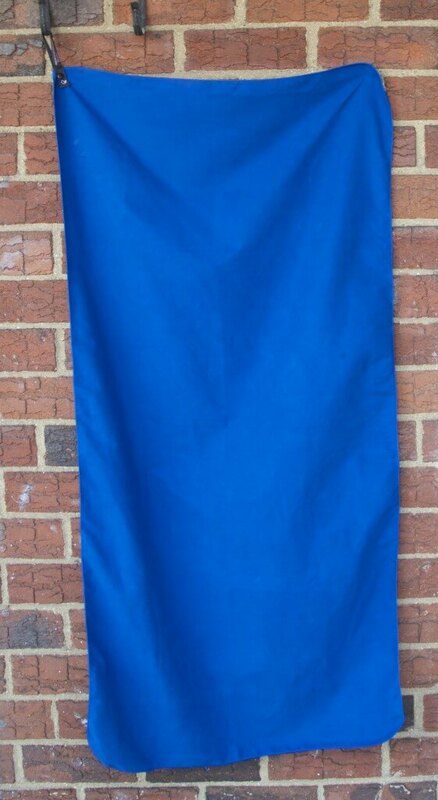 Also, this is the link to the Sea to Summit travel towel on the Sea to Summit website. With travelers who plan for trips putting most of their attention into choosing the right backpack and other large items, it has become easy to forget about the details, such as travel towels. Thankfully, Sea to Summit hasn’t neglected the details in their DryLite Travel Towel, made of 70% polyester, 30% nylon Microfiber with a soft suede finish. Compared to your average cotton towel, the Sea to Summit travel towel is minuscule. It is as light as and even more compact than the Eagle Creek travel towel, while being longer and wider. The Eagle Creek towel is 50 x 100 cm in size Large, while the Sea to Summit DryLite towel is 60 x 120 cm in size Large, with both weighting around 5oz. When folded, the DryLite towel can fit into its stuff sack and take up approximately 2 X 12 X 16 cm worth of space. The towel when folded can easily fit into my hand. The towel is large enough to cover my body (5, 6″ male), but you may need a larger size if you are taller. 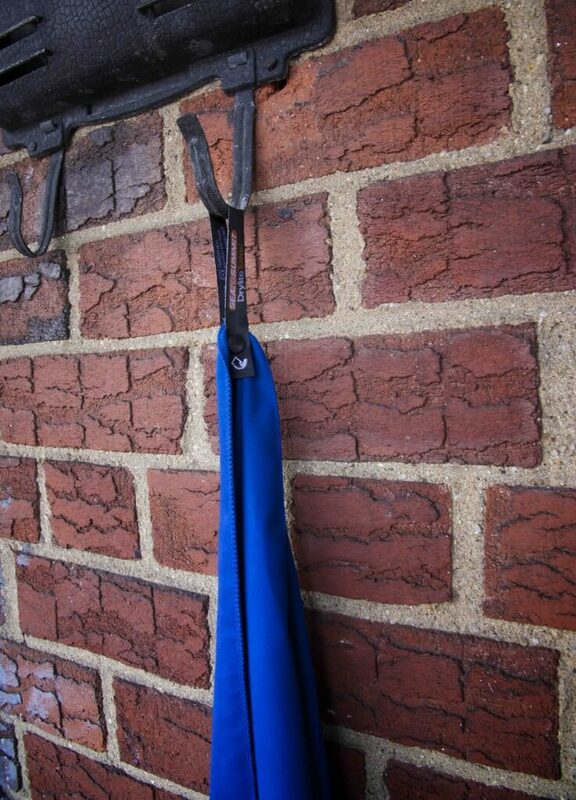 Like the Eagle Creek travel towel, the DryLite towel also has a buttoned hang loop for hanging the towel to dry. 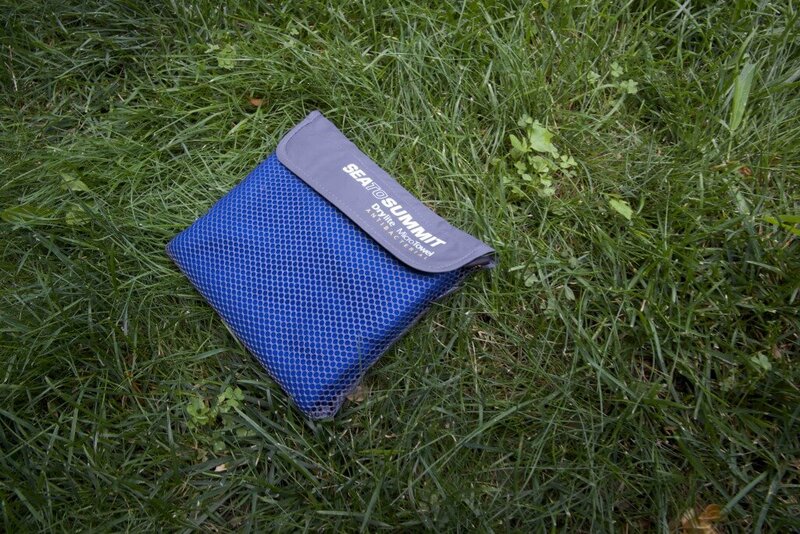 The Sea to Summit DryLite travel towel’s greatest strength is also its greatest weakness. 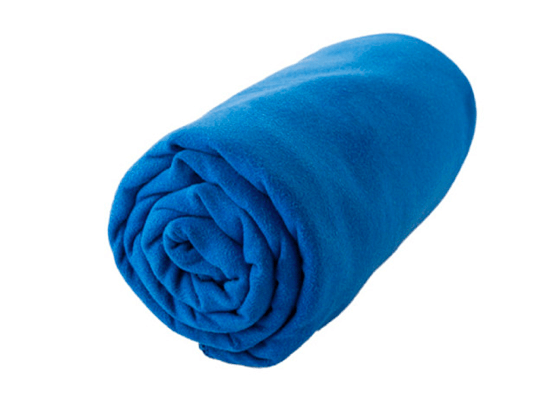 The towel is exceptionally lightweight and compact because it is exceptionally thin. It’s important for me to stress that while the towel is thin, it still does its job very well. The thickness wasn’t a major set back for me, but if you prefer for your towels to be plusher, you can check out the Sea to Summit Tek Towel, which is the more plush (and less compact) version of the DryLite and also the Eagle Creek travel towel. As a super compact and lightweight travel towel, the Sea to Summit large DryLite towel is a great option for lightweight travelers, hikers, backpackers and more. 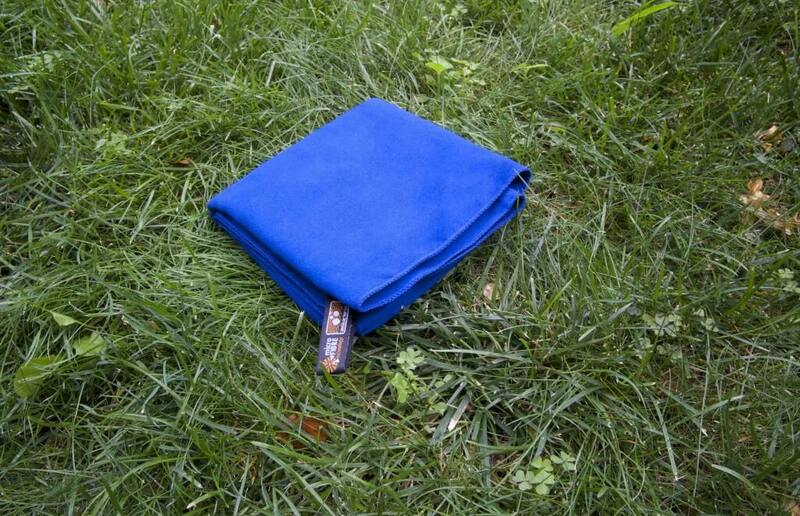 The towel is soft and has several useful features without taking up much space in your backpack. The towel costs around $26 on Amazon.com for size Large, which is normal for travel towels but $4 more than the Eagle Creek towel. Some links found in this review are affiliate links, meaning that we get a commission if you decide to make a purchase, at no additional cost to you. We would never endorse a product or service we didn’t actually use and believe in. The Sea to Summit DryLite travel towel was provided for this review. As always, this review contains only my honest views and opinions. « Stance Socks Review: Are These Stylish Socks Worth It?